Yep, it’s one of those list posts. But recently I’ve been thinking about what makes a fun trip and what does not, and a lot seems to revolve around physiological and psychological stress. Many people have advised about not trying to do it all, so I thought I’d add my take on what I think are key things to avoid, especially with kids– but adults are just kids with more experience suppressing discomfort! WORK EMAIL. Unless you get the option to work from the World, and you don’t have to take vacation days that way….consider leaving your work email behind. Disney helps you with this, because unless you bring your laptop, there is usually a charge to use their workstations. It’s not completely unreasonable, but it is a deterrent. Work email will erode a lot of the psychological relief you derive from vacation. I know it’s piling up otherwise, but let it. Take care of it later, when you’re on the clock and being paid to unless it will sincerely compromise your enjoyment of the trip not to address it. MESS WITH DAILY ROUTINES. Do your kids nap at a certain time? Let them nap. Don’t let the excitement screw with your biological rhythms. Some will disagree with me, but you’ll have rough nights and exhausted days if you neglect your basic needs while on the trip. Make sure you are breaking for snacks and meals at your typical times. Make sure everyone is drinking enough water. BINGE ON UNFAMILIAR FOODS. I don’t eat a lot of fried food at home. When I do, my stomach gets upset. Same thing is true when I eat fried foods on vacation—and there is nothing worse than spending what could be a glorious park day hunting for a bathroom or bench to sit on until discomfort abates. I’m not saying not to try new things or to watch your calories, but keep in mind that your body isn’t actually on vacation quite the same way your mind is—it’s still got some fairly predictable responses to certain foods or overeating. 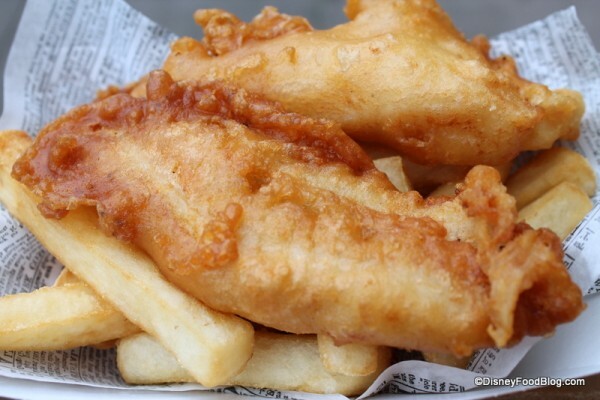 I make an exception for England’s Fish and Chips Review, but exceptions make the rule, right? DRINK AROUND THE WORLD WITH AN EMPTY STOMACH. This one speaks for itself. Pace yourself. Eat. Drink Water. Otherwise, later that night, or the next day, you WILL pay the price. If you are doing a monorail crawl, drinking around the world, or simply earning those mugs at the new Trader Sams Grog Grotto, make sure you are eating a lot and drinking TONS of water so as to ensure you can make it to your morning fast passes with an intact stomach. SPEND EVERY MOMENT IN THE PARKS. Some of my fondest memories of our last trip involve just sitting down in our room. Given, we had an amazing view of the castle from Bay Lake Tower, and vultures and egrets put on a constant show for us on the shores of Bay Lake, but it was those moments of rest and relaxation with my family that really let the happiness seep into every crack of my soul. Keep in mind your resort’s amenities, like kid’s community halls and pool parties. I promise we mix it up on our trips, but especially with kids I’ve found that moderation and balance are huge keys to enjoying the trip and emerging rested and energized. Remember to up your water, eat regularly and moderately, take some time to sit on a bench or balcony, lay off the professional obligations if you can, and you’ll be able to enjoy nearly every minute of your trip.